Today, The Council on Tall Buildings and Urban Habitat deemed One World Trade Center in New York the tallest building in the United States. 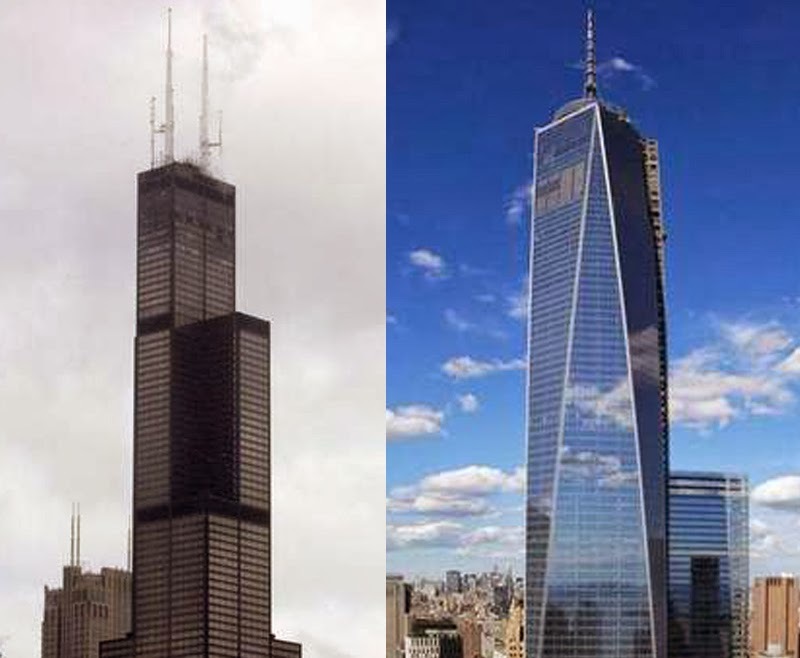 Knocked down a peg, status-wise, is the Willis Tower, formerly named Sears Tower, which had been the country's tallest building since it was completed in 1974. At question for the council was whether the 408-foot-tall needle atop One World Trade Center should be counted in its total height of 1776 feet. Previously, I wrote about souvenir replicas of the Willis Tower and One World Trade Center.